Kirsten Quinn-Kovacs is among the best and brightest of her people. She gratefully serves the gentle race that rescued her ancestors from a dying starship, gave them a world, and nurtures them still. If only the Citizens knew where Kirsten's people came from…. Great prequel to Ringworld. 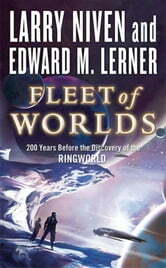 As along fan if the Ringworld series, I was thrilled to stumble on to this new prequel. Well crafted, concentrating on the politics of Puppeteers, I am looking forward to researching the parallel adventures of the human-Puppeteer interactions i the following volumes. Another excellent window into the Niven universe! Can't wait to read the next book in the series.